MEXICO CITY (Reuters) – One of Mexico’s richest men has warned his staff of the risk of a “populist” winning the July 1 presidential election, the latest swipe by big business against leftist front-runner Andres Manuel Lopez Obrador. A letter by billionaire German Larrea, published in Mexican media on Tuesday, refers indirectly to Lopez Obrador, who has accused Larrea of belonging to a group of tycoons seeking to thwart democracy and keep him from power. Lopez Obrador has a history of clashing with business leaders and his opponents repeatedly painted him as a threat to Mexico’s economic stability during his previous two tilts at the presidency. He finished runner-up both times. The letter, which was seen by Reuters and which a spokeswoman for Larrea’s mining and rail company Grupo Mexico said was genuine, sought to flag the risk of Mexico adopting policies similar to Venezuela, Cuba or the former Soviet Union. “If this populist economic model, in which everything supposedly belongs to and comes from the state, and in which people are given things without working for them, ends up being imposed on Mexico, investment will be disincentivized, seriously affecting jobs and the economy,” it said. The letter by Larrea, who was Mexico’s second-richest man in the 2018 Forbes List, did not mention Lopez Obrador by name and was also addressed to his shareholders. 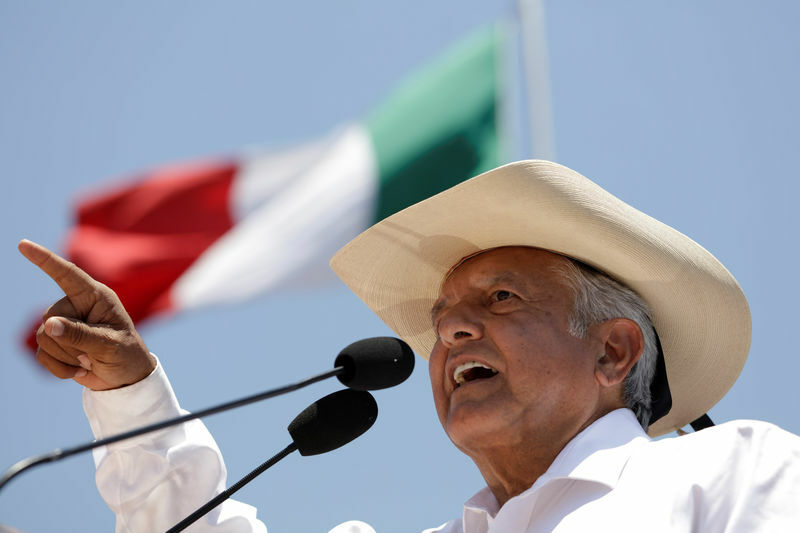 But it made reference to Lopez Obrador’s candidacy and some of his more contentious proposals, including threats to walk back the government’s opening of the oil and gas sector to private investment, and to scrap a 2012-13 education reform. The former Mexico City mayor is an admirer of the Mexican model pursued during a period of rapid growth between the 1950s and 1970s, when the state played a bigger role in the economy. But he has also moderated his economic rhetoric and said this month that a $13 billion airport project he long opposed could be built as a private concession. Lopez Obrador hit back at Larrea at a campaign rally in Poza Rica in the Gulf state of Veracruz on Tuesday, urging him not to scare his workers and saying that entrepreneurs would have nothing to worry about under his presidency. “I understand that German Larrea doesn’t want change, because he’s done very well,” Lopez Obrador said. Larrea said Mexico needed a “considered vote”, and pledged to take “precautionary measures” such as savings and paying off dollar-denominated debt to ensure the health of Grupo Mexico. His letter was dated May 25, the same day the chairman of bottler and retailer Femsa issued a public statement in which he warned about damage done in the past by “populist” policies in Mexico, while his counterpart at manufacturer Grupo Vasconia expressed concerns about a “populist” victory on July 1. Adding to the tension, Lopez Obrador has put on his party’s ticket for the Senate union leader Napoleon Gomez Urrutia, a veteran adversary of Larrea who led strikes against Grupo Mexico before moving to Canada to escape corruption charges.